A standalone romantic adventure set against the backdrop of Treat, ancestral home of the dukes of Roxton. Satyr’s Son will delight fans of the series with cameos by many beloved characters, while new listeners will discover the myriad pleasures and glittering aristocratic world of the Roxton family through the fresh eyes of newcomer Lisa Crisp. Satyr’s Son is a Cinderella story with a heartwarming happily ever after. My Thoughts: Two analogies used in the storytelling are appropriate to mention here. One is about the making of a cake. I won’t spoil how it’s used in the story, but I think it appropriate to use in the success of a novel. Every novel has various components in its creation. There is ‘flour’, ‘sugar’, some type of ‘oil or shortening’, ‘eggs’, etc. The final cake, once baked, can be so-so, or better than that. It may be exceptionally fluffy and moist. It may have unusual ingredients separating it from other cakes. The final baked masterpiece is a perfect blend and amount of each ingredient when baked with the perfect amount of heat. These are the cakes you can’t wait to eat over and over, savoring its uniqueness, allowing the consumer to experience more than a cake! So it is with author Lucinda Brant’s ‘cakes’. Her writing is entrancing, descriptions with such vivid detail I can reach out and touch. The plot is never tiresome, paced in perfect harmony with richly textured characters. Lord Henri Antoine is challenged on many fronts with personality traits making him a very complex person. He is very much like his father in both looks and character making him even more precious to his mother. The Satyr, his father, acted much like Henri Antoine, but found his heart when he met his duchess to-be. Lisa is guileless, honest and direct in her speech. An attribute which draws Lord Henri, along with her beauty and character. He doesn’t understand what motivates Lisa’s decisions, but when he does, it is a pivotal moment in their relationship. I loved how this saga keeps many of the same characters always adding new and interesting ones. The saga is five books, but I can see much more to come. I want to know if Henri Antoine has children, how Elsie, age eight, grows up within her overprotective family, and what success comes of the project Lord Henri and Lisa pursue. Now, to my other analogy, so appropriate to Alex Wyndham’s narration voice. In the story, a friend of Lisa’s, Becky, a young woman of simple means, hears Lord Henri Antoine’s voice and immediately likens it to the smooth pleasure of drinking chocolate. I concur with Becky! Wyndham animates the story with his utter flexibility depicting each character, whether the suave and controlling Lord Henri, the animated and emotional Jack, or the duke-like arrogance of Julian, Henri’s older brother. 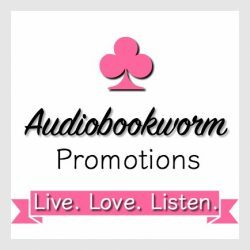 All is in harmony with what the author wants the reader to experience. A perfect cake, indeed! 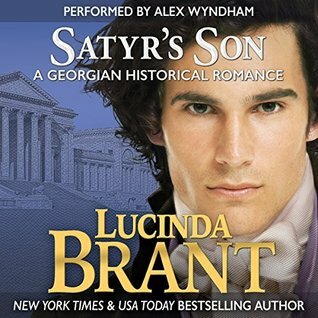 This entry was posted in Audiobook, Audiobook Review, Book Reviews, Georgian Historical Romance, Historical Romance, Regency Romance and tagged Alex Wyndham, Audiobook Review, historical romance, Lucinda Brant, Satyr's Son. Bookmark the permalink. Great review, Eileen. I’ve loved all the books in this series but there is just something special about Henri and Lisa’s story that just stole my heart. All of these books are fabulous on their own, but added with Alex Wyndham’s 5 star performance, they are definitely a must have! Do you think Lucinda will be adding to the saga? Yes, there was something about the emotional turmoil Henri experiences with his malady and Lisa’s reaction to the man he is which creates such a warm story. I’m planning on tucking these away for awhile and then listening to them again, but back to back. The pleasure of re-reading and listening will go on for years! Some books I’ve read five times.